James Baker was a master of negotiations. 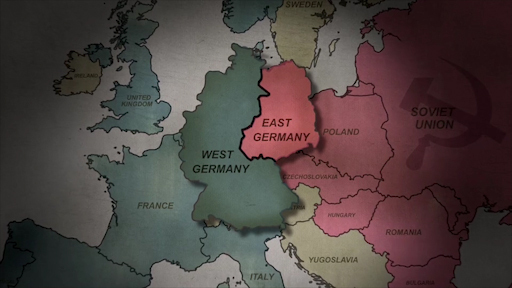 Whether dealing with politicians on Capitol Hill or world leaders on the international stage, one of his strategies was to consider the costs and benefits when negotiating and making strategic decisions. In this activity, you will use a cost-benefit analysis activity to move through the process of making real-life choices. This process will help you develop an understanding of the influence of positive and negative incentives on your decisions. Use a cost-benefit analysis tool to make real-life choices. Develop an understanding of the influence of positive and negative incentives on the decisions people make. A cost-benefit analysis is the analysis of the cost effectiveness of different alternatives in order to see whether the benefits outweigh the costs. James Baker often used a cost-benefit analysis when negotiating. 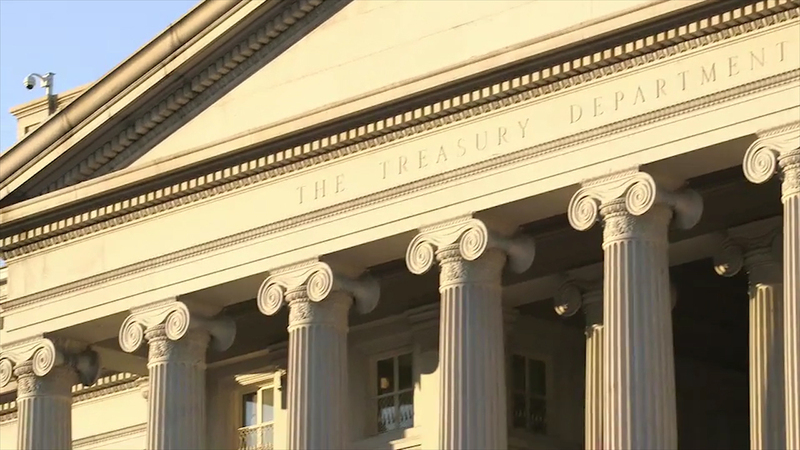 Watch the following video clips for examples of times when James Baker had to consider the costs and benefits of his decisions. 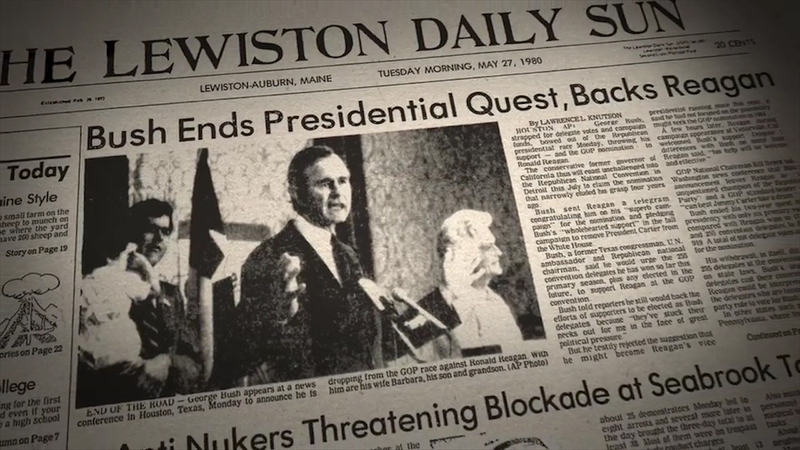 Master of Negotiation Video Clip 1 (from James Baker documentary) - In the clip below, Baker announces George H.W. Bush’s campaign has run out of funds, which put in motion Ronald Reagan’s selection of George Bush as a running mate. As you watch, consider how Baker weighed the costs of having Bush continue to campaign for the nomination against the benefits of Bush being the vice-presidential candidate. Master of Negotiation Video Clip 2 (from James Baker documentary) - In the clip below, Baker and Edwin Meese negotiate their respective job responsibilities. As you watch, consider how Baker weighs the costs of giving up some powers to Meese in order to gain more power with the president. Master of Negotiation Video Clip 3 (from James Baker documentary) - In the clip below, Baker works with Democrats and Republicans to promote tax reform. As you watch, consider how Baker determines what to “give up” and what to keep. 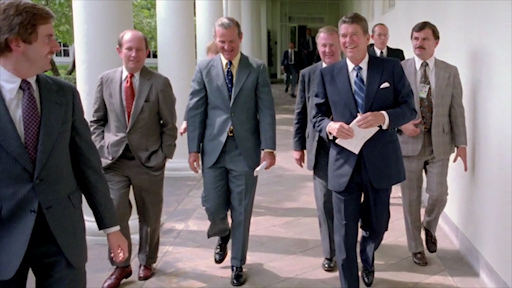 Master of Negotiation Video Clip 4 (from James Baker documentary) - In the clip below, Baker decides to change jobs from President Reagan’s chief of staff to the secretary of the treasury. As you watch, consider what costs and benefits Baker associates with each position. 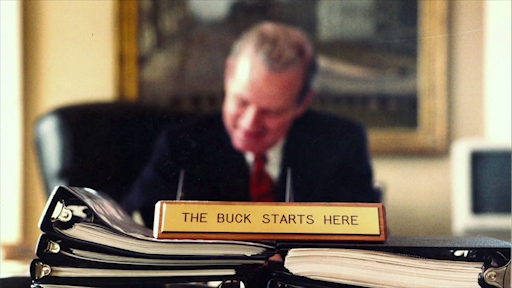 Master of Negotiation Video Clip 5 (from James Baker documentary) - In the clip below, Baker decides to run George H.W. 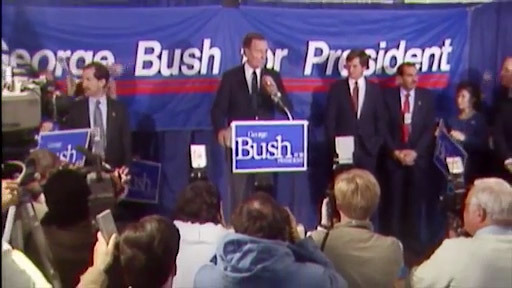 Bush’s second presidential campaign. As you watch, consider how Baker’s personal reservations were weighed against the political needs of his friend. Now that you have had the opportunity to explore some historical examples of cost-benefit analysis, you will use the cost-benefit strategy in order to make logical and rational decisions regarding a personal goal. 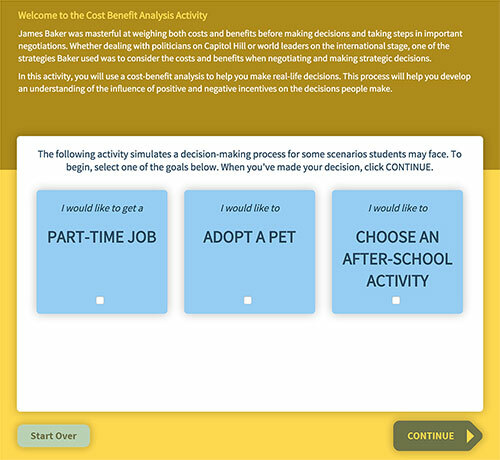 You will use an interactive Cost-Benefit Analysis activity to weigh the costs and benefits of making decisions. As you go through the interactive activity, think about how positive and negative outcomes influence your decisions. “How can you use the cost-benefit analysis strategy to help make informed rational decisions?” Cite examples and details from the activity to support your answer.